Please note: Monday - Friday we are closed between 2 and 3pm for lunch. The Laser and Skin Clinic employ a team of highly-trained doctors and nurses to ensure we provide the highest standards of practice and client care. Due to great advances in the medical aesthetics industry, our medical team remain up-to-date by continuously researching the latest products, treatments and technology on the market. Training is on-going for each member of our team to offer clients with the newest and most advanced techniques available. From your first call to your last aftercare appointment, you’ll find our team of staff friendly, professional and supportive throughout the process. We’re here to ensure everything goes smoothly by offering you sensible advice and helping make any arrangements for your appointments, treatments or procedures. Absolutely loved my experience in the clinic in Athlone. Donna and her team were highly professional and I’d recommend going. Reception girls very friendly. Sarah is brilliant very nice and treated me and my friends very well. Would definitely be back again. Very friendly and professional staff. You feel understood and in very good hands! I’m looking forward to my treatment and that it will give me the result I’m looking for. Every visit to The Laser and Skin Clinic in Mullingar has been a positive experience. The staff are really friendly and helpful and I would have no hesitation in recommending them to others. Very friendly and professional clinic!! Had a great result after my laser hair removal treatment would really recommend this clinic! The folks in the Dublin clinic were brilliant and extremely knowledgeable. They advised me to use Obagi products and I’ve seen a huge difference in my skin since using them. 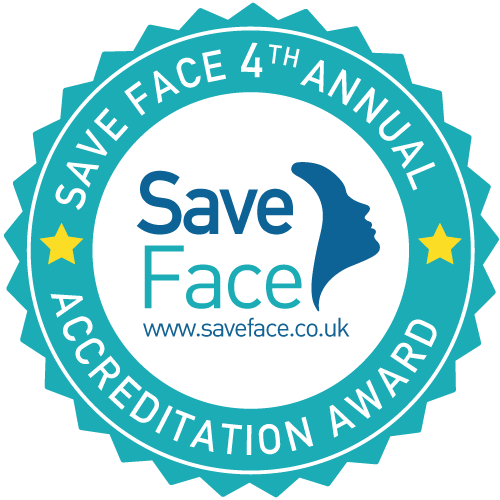 People have commented on how good my skin looks I will recommend The Laser and Skin Clinic to my friends and work colleagues. Thanks guys! Thank you to all the staff at The Laser and Skin Clinic, just finished my course of treatments and so happy with the results! I’ll be recommending you to all my friends!! I am very happy with my treatments since I started to go to The Laser and Skin Clinic in Athlone, all the girls are great and my therapist, Anna is brilliant and a lovely person. I found Joan in the Athlone clinic excellent – very professional, friendly and helpful regarding treatments and products. The staff are very professional and friendly, I am happy with the service provided. I had laser vein removal treatment on my facial veins and am having great results so far. Lovely staff who put you at ease during the treatment. Would recommend it to anyone thinking of having it done. I used to do my laser hair removal in a different place but since I found The Laser and Skin Clinic in Mullingar I knew it’s worth it. The staff are amazing and professional. I have been extremely happy with them. I just want to thank all the staff at The Laser and Skin Clinic for the excellent service you have provided to me. Your premises are modern and spotless and the staff are always friendly and welcoming. So happy with my experience at The Laser and Skin Clinic skin, I really felt that they wanted to help me for the want of a better word fix my skin. The girls were so knowledgeable and explained everything to me during the consultation and educated me about my skin. During treatments everything was explained thru every step and I was always asked how I was coping with treatment just case I was uncomfortable. I have seen great results from my skin peels and look forward to continue my skin journey with The Laser and Skin Clinic. I would very highly recommend The Laser and Skin Clinic. The staff are extremely professional, discrete and very friendly. The range of treatments offered is exceptional. I have been to a number of clinics but this one by far surpasses any. My skin has greatly improved and all the treatments they offer are effective and really work. You can see a significant improvement within a very short time. Anna has excellent knowledge of all the latest treatments and skin care products available and can advise as to what best suits each client. The clinic itself is very relaxing and all the staff go to great lengths to make you feel welcome. The aftercare each client receives is first class. If you are considering having any skin treatments done, this is the only place to go. I cannot recommend it enough. I really couldn’t be more impressed with the results Anna has helped me achieve in one treatment. With pigmentation an issue for me affecting my confidence, I decided to see the right people about doing the right thing. I left my consultation with the ability to make an informed and educated decision with the options I’d been presented with. I actually try wear as little make up as possible now and I’ve gone from a face full of freckles to just a few with a renewed glow, confidence, and knowledge for the future care of my skin. I’m so impressed and so happy!! I have been attending The Laser and Skin Clinic in Mullingar for a number of years and I have to say the staff at this clinic are second to none. When I first attended I have lots of problems with my skin, it was patchy both oily and dry, I had a lot of congestion and I suppose I had mild adult acne too not to mention uneven skin tone from years of sun holidays so basically my skin was a mess. After my first consultation I got a complete treatment and product plan from the nurse. I started off by changing my products (I literally went hope and threw everything I already had in the bin) cause it clearly wasn’t doing my skin any favours up until that point. I started using a mix of products from The Laser and Skin Clinic, some from skinceuticals, obagi and image skincare. After the 1st three weeks of using the products my skin was so much improved and it continued to get better every week. I also had a course of skin peels after this to work on my uneven skin and I have to say my skin looks better now that it did 10 years ago. The Laser and Skin Clinic have an amazing range of treatments. I would recommend anyone looking for the best in skincare and latest treatments. I initially booked an appointment 11 years ago for laser hair removal which I was slightly conscious about. I had no need to worry whatsoever as the staff made me feel at ease straightaway, and i was pleased to see they used the highest grade machine on the market for my treatment.So impressed was I by that experience, I looked into other treatments and have since benefited from Skin Peels, Microdermabrasion, Dermapen Microneedling, Chemical Peels, RioBlush CarBoxytherapy, Platelet Rich Plasma treatment, and thread vein removal. It’s safe to say that my skin is now in the best condition ever in my life and the complementary Sunscreen, Antioxidant, Retinol, Glycolic, Salicylic, and Hyaluronic Acid products that I now use religiously keep it safe and glowing between visits to the Clinic. I can’t thank Anna and her staff enough for the expert service and education they provide and I look forward to being a returning customer for many years to come. The Laser and Skin Clinic Dublin clinic has been and still is the best clinic I have went to in regards my trouble with acne. All the staff are always very positive, polite and professional. Treatment options were displayed very clearly to me with an appropriate time frame for each step. Progress pictures are always taken on every visit to see how much progress we have made since the last visit, so you can look back and enjoy with the positive outcomes. My journey to where I want to be at the end of all the treatments just started, but I’m only looking forward to go back into the clinic each time, even though i have to go through a 4 hour journey on each visit. You’ll always leave the clinic with a positive mood and feel treated politely, with respect and never looked down on. Not only would I recommend this clinic to my friends and family, but to everyone else that has any kind of issue these lovely people can help you with. Once you go laser and skin, you’ll never look back!